This famous racehorse won three Wellington Cups - 1991, 1992 and 1994, the Auckland Cup in 1992 and the NZ Derby in 1989. 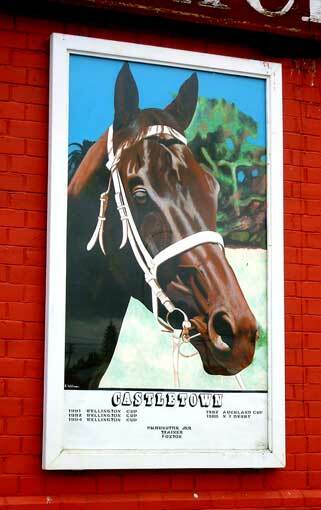 Castledown was trained by Paddy Busuttin Jnr in Foxton. 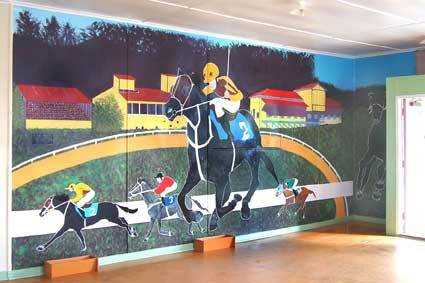 The mural features Foxton's well known galloper, Castletown.